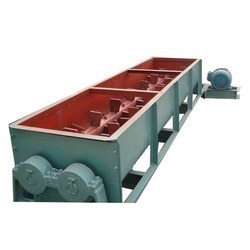 Plough Shear Mixer is designed for heavy duty blending of both Dry and Wet materials. Plough shape shovels mounted on central shaft with its ointedends are easily penetrable through the dense powder mass in a cylindrical drum or a vessel. Shuffling of the mixture is achieved by broader end of the shovels. Penetration followed by agitation of the mass in quick succession of the specially designed blades results in homogeneity of powder mass both in dry and wet stages. Appropriate dough formation is reached in later process. Centrally mounted chopper will then operate to obtain wet granules of uniform size. 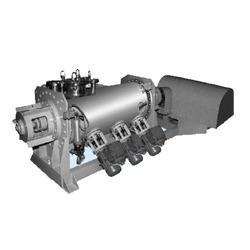 Mixed homogeneous mass can be easily discharged from bottom of the mixing drum which is provided with flush fit discharge port.